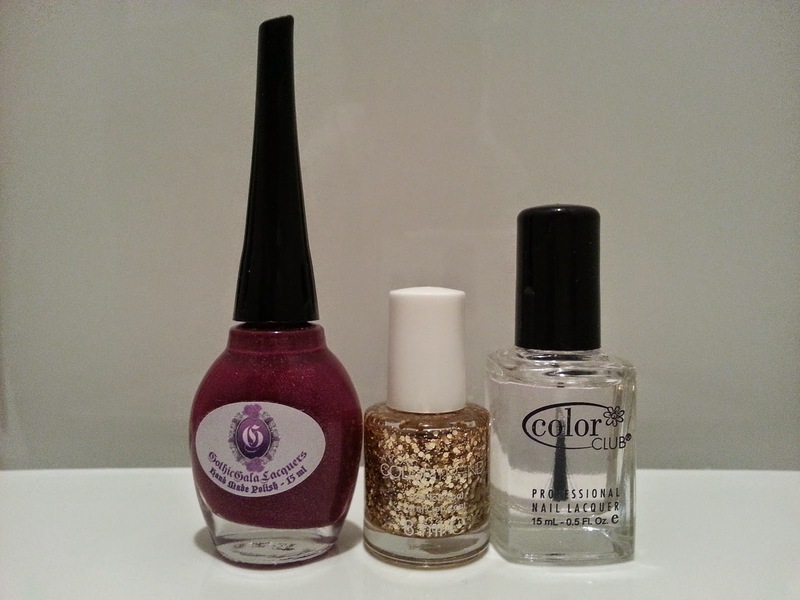 Today I want to show you a Gothic Gala Lacquers beauty that I fell instantly in love with... Vallis Sanguine! 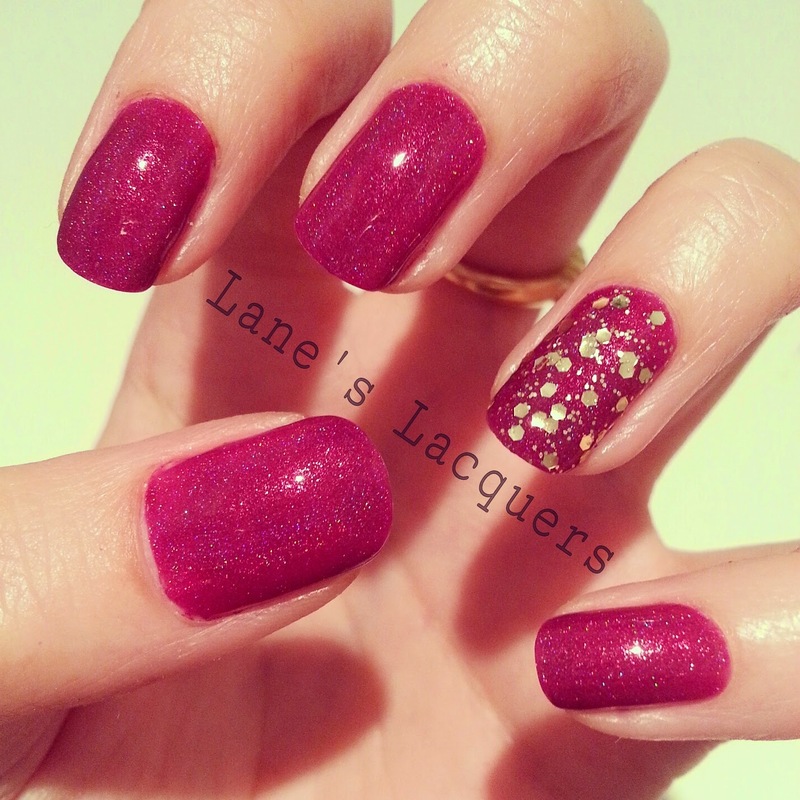 It's a stunning rich plum/fushia with delicate holo... This is one of the six I ordered from a nail sale whilst on holiday. It wasn't even pictured in the listings but when the lady contacted me about other purchases, she very kindly let me know she had this one too and I HAD to have it! This is two coats of the Vallis Sanguine with one coat of a gold fleck accent on the ring finger. Finished up with a nice thick topcoat.